There long has been a discussion as to what constitutes punk rock. Is it a particular sound? Is it an attitude? Is it a style of dress? Is it the societal and political ideals you hold? Is it some sort of combination of some or all of those things? Regardless, the debate has gone on for a long time, and everyone seems to have a different conclusion to this matter. On that same line, what makes something or someone metal? In fact, there are so many subgenres, that there even are arguments as to what makes something black metal, sludge metal, doom metal, death metal. It’s a lot to talk about. It requires more than a white erase board. And no matter what one person will say or deem truly metal, another person is bound to vociferously disagree. Arguments ensue, people fight. It gets kind of stupid. There really are more important things we can worry about aren’t there? 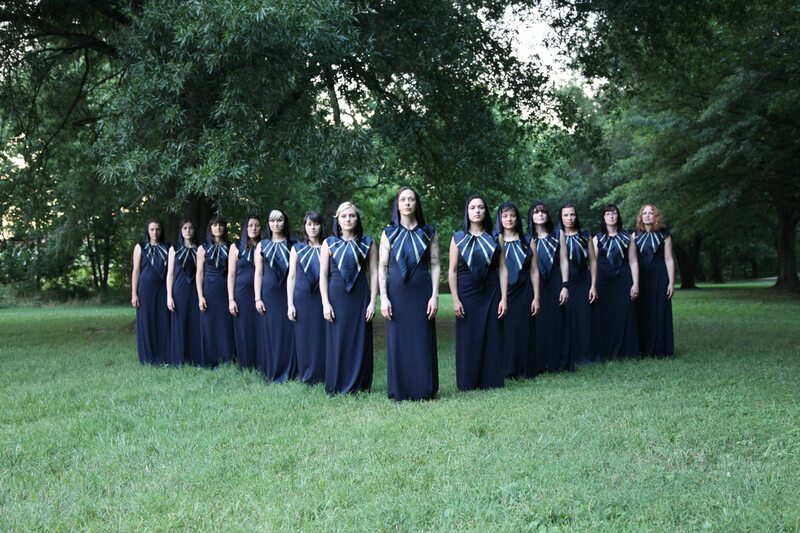 I say all of this because today we will discuss the debut full-length from The Assembly of Light choir, an all-female choral ensemble that was put together in 2008 by Chrissy Wolpert that has gone on to make an unexpected dent in the metal world thanks to their stunning collaboration with two-headed doom beast The Body. The chorus opened The Body’s incredible 2010 opus “All the Waters of the Earth Turn to Blood” and went on to tour with the band, but they also performed in settings away from the confines of a wholly metallic audience. On the surface, sure, their art doesn’t sound very metal at all. It might be something your mom would really like. Please don’t read that as an insult. It just means what these ladies do can have a wide-ranging grasp into audiences no other metal band ever could hope to capture. They don’t sound dangerous and bloodthirsty. Their singing is quite pretty, and they are mesmerizing to hear when they blend their voices together. 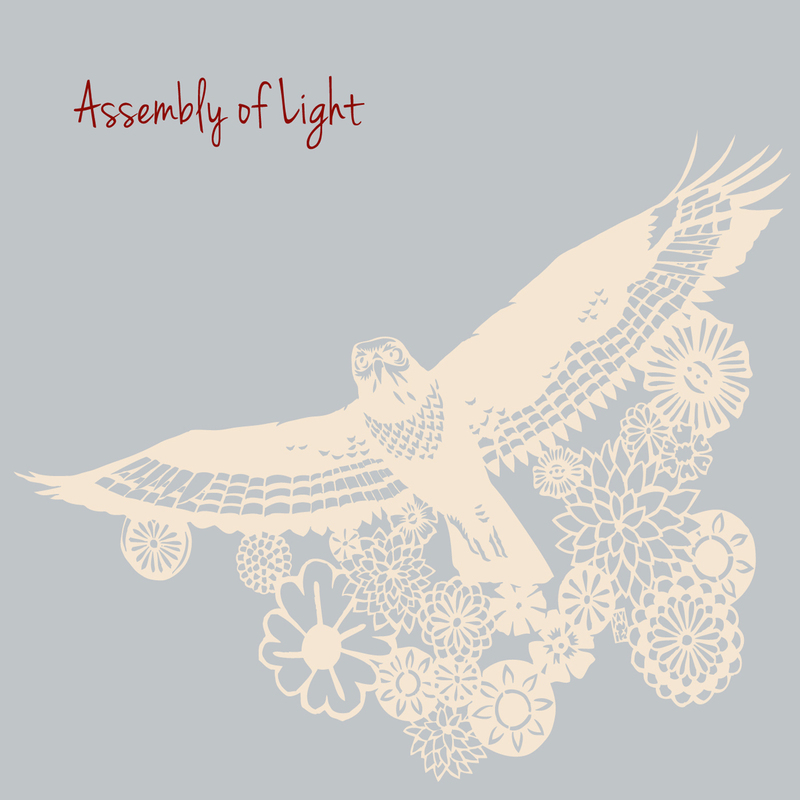 But on this self-titled effort, the Assembly of Light, based in Providence, Rhode Island, do make an effort to marry both their choral and metal worlds together. Four of the six cuts are, indeed, primarily straight choral harmonies, but two of the songs have that ugly, ominous, surprisingly menacing edge thanks to help from Chip King from The Body and Alexis Marshall from Daughters providing their own twisted voices into the fray. In addition, members of Braveyoung and Work/Death also helped add thorns and horror into some of these pieces. It puts that element of doubt into your head that, while these ladies make such gorgeous, seemingly bright hymns, these pieces just as easily could be arias for Armageddon, the angelic choir one might hear weeping as humankind is charred to dust. Keep that in the back of your head at all times while listening. Everything begins with a glimmer of hope, as organs drone in, bright and hopeful piano notes drop, and the choir leads the melody along its way. The song is a wonderful invitation into the rest of the album, most notably the next track … where the bottom drops on your chest. Dark cellos emerge, thick, hissing guitars spill in, and King wails like a banshee behind the otherwise comforting calls of the choir. It’s so mysteriously macabre that is might give timid listeners nightmares. Everything works together that well. “Treelight” is the most interesting cut on here, and it’s the most psychotic. Marshall takes lead vocals as the choir provides the stormy texture. On it, Marshall sounds like a man on the edge, wailing like his voice is being transported from a vacuum, and the shrieks that blend in at the end give the song the proper dose of everything falling to pieces. From there, the storm clouds drift off, a few solitary sunbeams show through the clouds, and we’re off to the “Into the Woods” trilogy that closes out the album. Each segment of the song is connected to each other, and it sounds like the soundtrack of old souls crawling amongst the trees to claim an eternal resting place. The entire piece, built solely on the ladies’ voices, can sound mist-enveloped at times, sad, and startlingly straight-forward, like the third and album-closing piece of the triptych. It’s a delicate, somewhat comforting exit from this plane and onto whatever’s planned next. One certainly could argue Assembly of Light have no place on a metal site. I steadfastly disagree, and while their music isn’t purely of the genre, their contributions to the doom scene and presence as powerful, bold performers should carve for them a place alongside the brutal and mighty. These ladies have stood in front of metal audiences, people who tend not to be the most open minded of people, and have brought their power. They are one of the most interesting and certainly unique group of artists out there, and they are pushing boundaries in ways most metal bands fear. This is a breath-taking, imaginative effort that you might find will break down the walls of your genre fiefdom with the power of a wrecking ball.